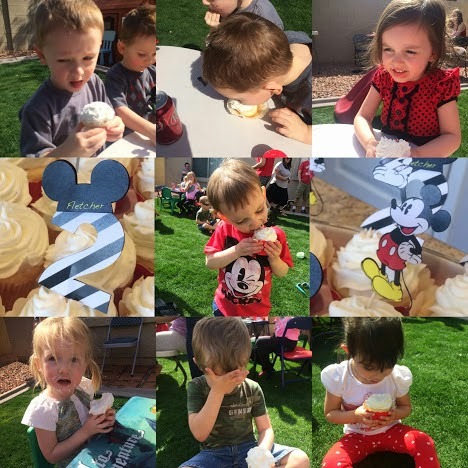 What a "fun" day celebrating our boy's second birthday (keep on reading as to why it wasn't so fun for me!) I was super excited for this party as it was at our new house AND I won a party pack from House of Creative Design. Little did I know that it would be a complete life saver in a MAJOR WAY! Well mommy was very sick right before the party and day of. Without these amazing party supplies guys...I couldn't have done it! I'm so happy that daddy was able to run Fletcher's party because I didn't know if we were going to have to reschedule the celebration. So rather than calling it off I just slummed it up in the master bedroom while the show went on. The only pics I have are those that friends sent me along with what HOCDesign posted....thank you, thank you, thank you guys! I was totally feeling the love as people were texting me pics while I rested in my room and they were offering to come in and hang out with me. I have one amazing network of support y'all! None the less I kinda still feel like a slacker for his bday. With a new addition to the fam bam + being sick I definitely wasn't on my A game. So thankful for my support team on this day! At least all my Harding babies were sporting their Mickey + Minnie Mouse gear...I did make sure that happened. We also had planned a "Hot Diggity Dog" Hot Dog Bar, a bouncer and some cupcakes. I think all that little man cared about was that he could bounce + open prezzies + grub on some treats. 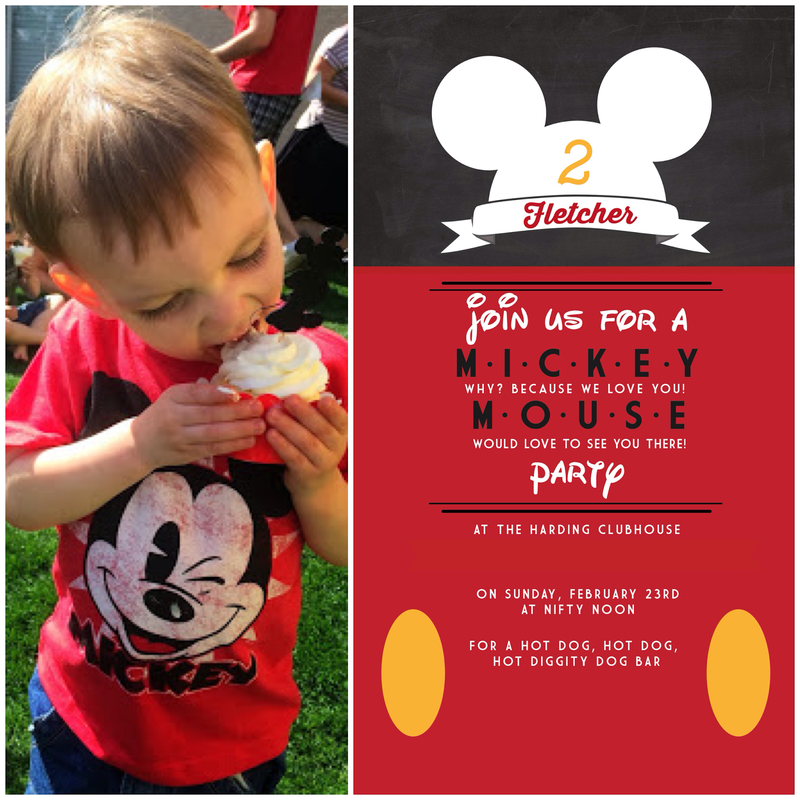 Soooooo Fletcher will have an EPIC 3rd birthday since mommy kinda failed on his 2nd birthday. After the little boys have their own celebrations this year it's going to be a combo birthday event from here on out because having bdays about one month apart from each other will likely be more than this momma can handle. Being an identical twin I'm used to sharing nearly everything. As long as I got my own cake for birthday celebrations I was happy. Plus I'm pretty sure these two will have some similar interests so we should be all good. :) Excited to plan a combo party them...gonna be twice as nice!!! !